Words by Julie-Anne Christy. Photo by Bart Thomas. Enduro racing is something I had been thinking about since I heard Anka Martin explain what it is during an interview I saw on the Spoke website. “Go as fast as you can on your little bike, and get a good time at the bottom… share your stories, share a few beers and do it all over again!” My first thought was, sign me up! 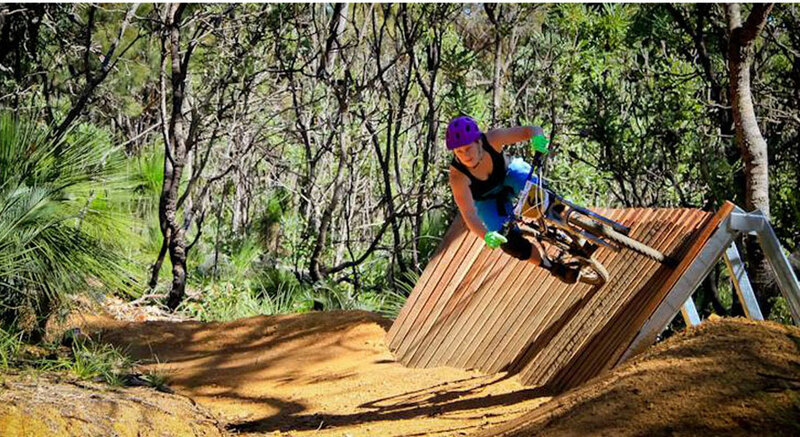 Enduro has been around for a while, but it has only just emerged in West Oz, being the late bloomers that we are, with the first Gravity Enduro held in Kalamunda during late August. WAGE (West Australian Gravity Enduro) and WAMBA (West Australian Mountain Bike Association) put on a fantastic event that sold out really fast, meaning latecomers like myself missed out on an entry. However I didn’t get to miss out on the action by signing up for a marshalling jacket and whistle, keeping my eye out for injuries and those with a preference for cheating. Not only was it the first enduro in WA history, it was also the official opening of the new Mt Gungin trails, with local DH legend Sam Hill marking the official christening with some big jumps, tailwhips and hollering from the crowd. The race itself was a huge success, with Sam finishing with the fastest time overall. However since he was not taking an official entry, first place for the guys went to Todd Madsen with a time of 15:37, followed by Deon Baker and Darren Kirby. For the women it was Kiwi expat Carrie McLachlan in first place in 17:59, followed by Katja Aslop and Amanda Crean. Carrie stole the show, being much faster than many of the guys, even earning her self a few marriage proposals at the finish line (sorry guys, she is already taken). As for injuries and cheats? I didn’t have to blow my whistle at all, but like everyone else, I did have a damn good time.